The Kenyan food system is broken. It’s a venal and extremely predatory system that is both ‘child and aide’ of the society that produced it, including our system of governance. In that way, one could say that it functions exactly like it’s supposed to function. It’s a dysfunctional system that is built on legacies of colonial and post-colonial occupation, extremely contentious, bloody and contested clashes over land use, unresolved rights of occupancy, and the right to resources. Further, it’s characterized by regional inequality, corruption, deep and normalized gender inequality, and a fundamentally broken land tenure system amongst others. 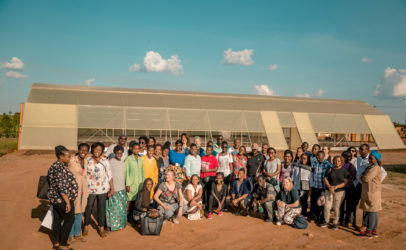 Global politics around access rights to seeds, fertiliser and other farm inputs play out in how we produce and consume our food with the agro-food oligopolies being winners in an increasingly winner takes all global system. Kenya, like many African countries, is also finding itself increasingly less able to weather the volatility in food geo-politics. As a result of all the above, the food we eat is often contaminated, unsustainably farmed and improperly regulated. 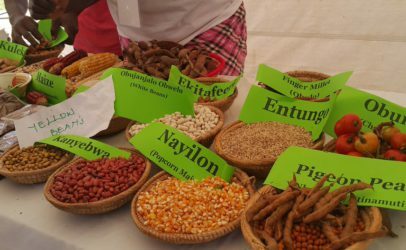 Food security is a dream for many of our citizens, and our birthrights- including seeds passed down from our ancestors- are being sold out from under us as ‘leaders’ loot and plunder from the very system that feeds us. This is a system where conflicting inequities translate to the right to food being enjoyed on a regional basis. The privileging of dominant cultures means that agrarian production methods, systems of land tenure, labour and access to foods dominate. Poverty and marginalisation for non-agrarian populations (e.g. pastoralists and low income urban dwellers) continue to be the primary cause of hunger in Kenya. It’s a problem that has regional dimensions where e.g. food poverty is endemic in the North Eastern region with a waste rate of close to 20 per cent as opposed to a 7 per cent national average. That the system is fundamentally not fit for purpose is seen in that the food that we are consuming is not always fit for human consumption. Recent reports in the media remind us that the food we eat is unhealthy, sometimes carcinogenic and poisonous. It is certainly not from a lack of agencies to oversee food safety in the country. There are at least 22 States Ministries, Department and Agencies (MDAs) that are charged with overseeing our food and at last count, at least over a dozen acts and ordinances that regulate our food system. Despite this, the food on our table- especially for the low income urban consumer remains unsafe, and at times dangerous to health. In addition to the food being down right unhealthy, citizens are also not getting enough food. Including farmers! Over half of farmers are buying food, and close to 75 per cent of small holder income goes towards food. And while the right to food is enshrined in the Kenyan constitution, it’s clear that we are quite far from fulfilling our obligations to our citizens on this front. Like clockwork, Kenya experiences drought every three years. Just like the clock, people continue to face hunger and malnutrition. Over a third of Kenya’s population is chronically food insecure. Hunger and malnutrition, is the diabolical gift that keeps on giving. The impact of under-nutrition on lactating mothers and children is devastating and sometimes irreversible where children who have experienced stunting display poor mental development and slower brain development. They are smaller and less able to concentrate in class than their counterparts. Malnourished mothers have malnourished babies- and as part of a twisted legacy, stunted children will in all likelihood give birth to malnourished babies. Rinse, wash and repeat- in a twisted, vicious cycle. A look at just two of the major pathologies that give rise to the broken food system- gender injustice and corruption shows that if we are serious about creating a food system that is capable of producing safe, healthy and sustainably produced food- we need to correct the underlying conditions that give rise to this unequal and predatory food system that we find ourselves with. The food system is rife with many contradictions that defy any sense and reason. I am still unable to describe the fact that Kenyan women and girls produce most of our food and that most of Kenya’s hungry are women and girls. If we are serious about broader social and political reform in Kenya, a good point to start would be here. As Gloria Steinem says, if we accept in the homestead that there are those who cook (or farm), and those that eat, we internalise and accept that in the larger society, there will be those that produce, and those that eat. Traditional gendered subordination of women means that women have less land ownership (‘marry it, or inherit it’) and they have less access to inputs of production. While the Kenyan constitution corrected a long standing injustice that allowed customary law to dictate inheritance and land ownership rights of women, and it is now possible for women to inherit family land, the reality on the ground is slow to change where e.g. 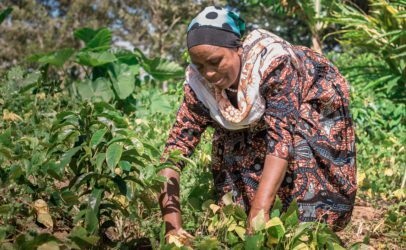 Kenyan women provide labour to over 80 per cent of our farms, but women held land titles are only at 1 per cent. This really matters. Where women don’t own the land, they consequentially have less access to loans and other agricultural inputs. As a result, women farms will have lower than expected yields. The FAO estimates that we could easily increase agricultural production by 25-30 per cent if women had equal access to agricultural inputs. Women also face dreadful working conditions in the agricultural sector. They occupy the lowest rung of the workforce and get lower wages and also have more vulnerable work (e.g. seasonal work that comes with no social benefits). Sexual harassment in the farms is rife and endemic. In a study by Labour Rights, over 90 per cent of people reported that they had witnessed or been victim to a sexual harassment. Women in the farms also report cases of sexual assault not only against them- but also against their young daughters. They had to take children to work due to the absence of social protection like acceptable child care facilities. A staggering 70 per cent of men interviewed viewed sexual harassment as normal and acceptable. This is what I would call a truly deplorable and shameful state of affairs. Women are underrepresented in decision making structures in our food system with e.g. 17 per cent of women being represented in agricultural cooperative boards. Membership and leadership is also gendered when it comes to type of crop with membership and leadership in ‘cash crop’ cooperatives being mainly male (coffee, tea, tobacco) and women are found more in ‘food crops’ cooperatives (spices, cereals, dairy etc.). Kenya has a billion dollar agricultural export market. And this is built on the backs of women. The system calls for urgent and radical reformation that is fair and equitable to women if this is to be a tenable and functional food system. Reading the Auditor General reports on the steady looting of resources meant for assuring food access makes for very depressing reading. Kenya relies almost predominantly on rain-fed agriculture and the systematic loss of resources meant for building dams and irrigation systems has consigned farmers to praying and watching anxiously for the rain. This situation is made even more fraught by the utterly short sighted and mindless gobbling up of land in the main water towers that produce the rain we (still) rely on for the food we eat. Corruption is without a doubt the termite that is eating away at the very fabric of our agricultural system. We lose billions every year paying for a fertiliser company that doesn’t exist. The systematic looting of state corporations and assets meant means that cronyism replaced vital and needed research and investments in our agricultural sector. It’s a system where a state corporation that owns over 80 per cent of our seeds was ‘secretly sold’ and ownership of our seeds- the commons- irregularly passed into private hands. A story as old as independent Kenya is the one of the fraud and mismanagement of our strategic maize reserve which has the dubious distinction of being independent Kenya’s first mega scandal. That corruption is truly hurtful to farmers is seen for instance in the coffee industry. Despite Kenyan coffee being the second most lucrative global commodity, coffee farmers are still impoverished due to the predatory and profit seeking nature of the global commodities market and its local minions. 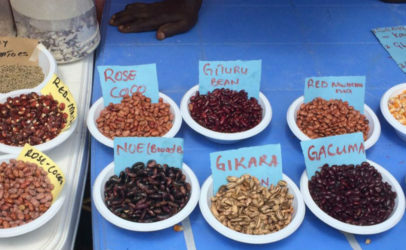 It’s a situation that is then compounded by the shenanigans in and around the Nairobi Coffee Exchange where up to a hundred dollars per bag are routinely skimmed off the top of what farmers should receive for premium coffee. While corruption exists in every human society in the globe, we need a new name for the type of corruption that ails us. It’s a system that in its utterly soulless nature was perhaps last seen during colonialism. It’s an extractive, predatory and society destroying system that will lead to the guaranteed and total destruction of Kenya unless we make urgent steps to curb it. If the agricultural system serves as the canary in the coal mine, it’s becoming obvious that we may have reached the tipping point, and that we have systematically cannibalised the very system that feeds us. It’s clear that our system needs urgent transformation- and not just reform. We need urgent solutions that shall transform the underlying systems that reproduce this unjust and unsustainable ways of food production, distribution, procurement, consumption and disposal of food. As such, merely addressing the economics or tackling the issue as a problem of one of yields means that we fail to tackle the interlinked and mutually reinforcing systems means that give rise to the problems. If we attempt to apply a market based solution to the food system without addressing the underlying food justice issues, we apply a Band-Aid solution at best. Equally problematic is the pitching of Kenya’s food problem as a technological or logistics problem that requires us to increase yields, decrease post-harvest losses etc. This so-called Green Revolution is a fix that will in all likelihood spawn even larger problems as this approach fails to take into account the even greater consolidation of power into commercial hands. 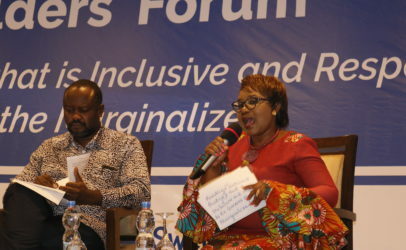 The private sector remains a key and integral part of the agricultural system, but taking a neo liberal approach promises to entrench labour practices that will continue to disadvantage the small holder farmers- especially peasant women farmers in the country. 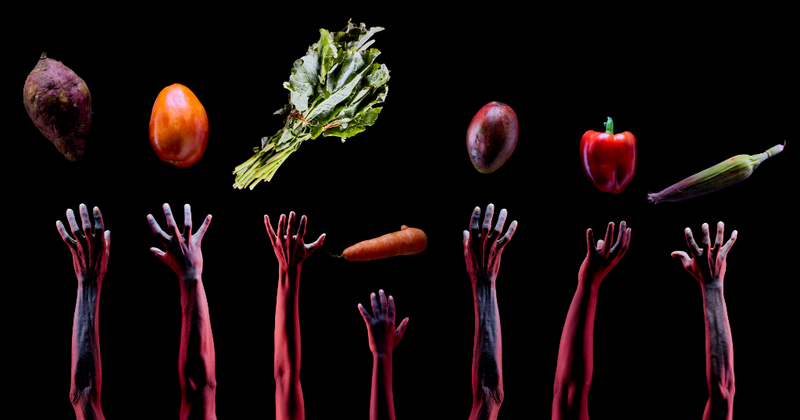 Fixing the food system requires that we address the social justice issues that underlie it. This is a call to arms for all of us working to fix the food system be it in food sovereignty, food security and food justice movements. First, we need redistributive land justice to be effected- years after the Ndung’u Report made its findings. Urgent systematic changes in the lands department need to be made- and the current leadership of this ministry suggests that this is unlikely to happen. Secondly, we need to review social protection for informal and ‘casual’ labourers especially women. Further, we need to protect our inputs from predatory intellectual property rights. Finally, we need to be serious about curbing the excesses of corruption and dismantle the systems that lead to perennially food insecure low income urban dwellers. All else is doomed to fail.